"I'm getting a return on my pension, paid by my company, and the return is far better than the original pension fund was giving me. I can increase the funding, draw again in the future - it's like having my own bank." Having been born and brought up in the heat of Iraq, it’s little wonder that Neil Afram has a passion for air conditioning. So much so, that he’s backed his business – Space Air – with his own pension. But, as a self-confessed entrepreneur, Neil, aged 67, has also been shrewd in his approach – choosing Pension-led funding, rather than taking the seemingly easy option of simply ‘cashing-in’ his pension. With a Mechanical Engineering degree, Neil moved from Iraq to the UK in 1971 and gained further qualifications in refrigeration technology. 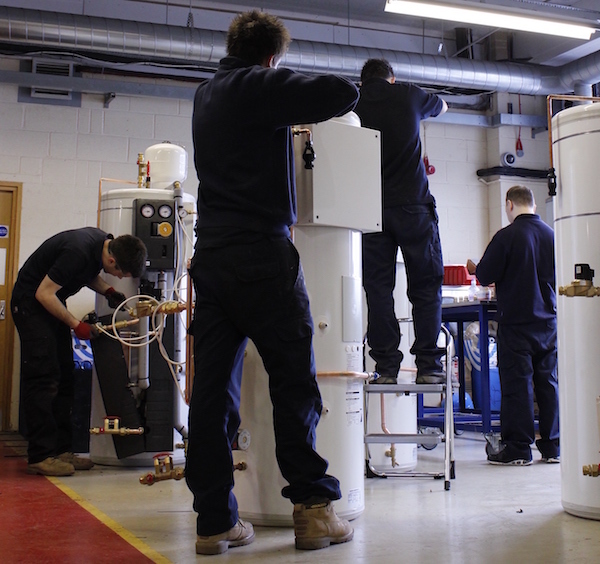 “Without understanding refrigeration, you can’t understand air conditioning,” Neil explains. Neil used a £5,000 Lloyds Bank overdraft to set up Space Air in 1980. As one of only four UK-based Daikin distributors, he quickly built a reputation across Britain and Europe. By 2001, the company had reached £30 million turnover. Despite Daikin’s innovative approach, issues with older stock and supply forced the manufacturer to buy-out three of its four UK distributors others in Europe. Only Space Air remained independent. With the market becoming increasingly competitive, Space Air was having to work harder. However, Neil was determined to continue to invest in his business and its employees. By 2014, the market had slowed significantly and, in 2015, it fell by 60%. “The global economy was suffering and there was a clear lack of confidence between the banks, other lenders and UK businesses. So many decisions were based on computer analysis, ignoring the fact that we, as business owners, with market demand due to environmental issues, were striving to grow. There was definitely air conditioning business to be had, but no funding to meet it.” The result was a company with strong assets but significant cash flow problems. Neil was careful about funding. “I had a £50,000 overdraft facility and we used Invoice Finance to help manage cash flow successfully over 15 years. But we needed more and I wanted it to be my money.” With the new pension freedoms legislation recently introduced, cashing in his pension suddenly became a realistic option. He turned to his financial advisor, Craig Harrison, MD of Creative Wealth Management. Craig offered a better solution. The funding will be used to smooth the cash flow humps and aid Space Air’s recovery and growth. From just 50-60 Daikin models when the company launched, it now distributes 3,500 and a further 500 accessories and adaptions. The funding means maintaining jobs and pushing back to £30 million turnover and beyond. “We’re diversifying and focusing on project-based work. I want Space Air to be the Virgin Atlantic of the air con industry!” Neil states. “I’m focused on success and I’d like my legacy to be the name of Space Air remembered in the industry’s history: after 35 years, we are probably the oldest in the world with one product – Daikin.” Now that’s a cool ambition. Neil moved from Iraq to the UK in 1971 and nine years later used a £5,000 Lloyds Bank overdraft to set up his air conditioning business Space Air. By 2001 the company had a £30 million turnover as a UK-based Daikin distributor. Eventually trading conditions became increasingly competitive as the global economy suffered and by 2014 the market had slowed significantly. In 2015 it fell by 60%. Neil was determined to continue to invest in a company that was striving to grow and had strong assets but cash flow was a problem. Neil requested an initial £150,000 funding to be used to smooth the cash flow humps and aid Space Air’s recovery and growth. From just 50-60 Daikin models when the company launched, it now distributes 3,500 and a further 500 accessories and adaptions.